Denmark is a country with a very favorable investment climate. Top advantages for investors include ease of doing business and a favorable business climate, high education levels and high quality of life and a good position in Europe that facilitates access to surrounding markets. Investors looking for specialized aid when opening a company in the country can request the services offered by our agents who specialize in company registration. 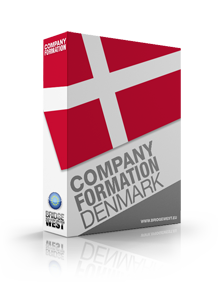 Company Formation Denmark.com provides all the necessary instruments for company incorporation in Denmark such as drafting the Articles of Association and other documents design for the incorporation of the Danish company, setting up a bank account for the Danish company, recommending an accountant and offering a Registered Office in Denmark. • Choose a suitable type of legal entity: this is done by observing the size of the future business, its goals and objectives, along with the available capital for incorporation. • Choose a unique business name and open a bank account: each company must have a unique business name and a bank account opened with one of the Danish banks. • Actual company registration: once the company’s constitutive documents are complete, entrepreneurs submit all of them to the Danish Business Authority; each company is assigned a CVR number. • Tax registration: after it’s registered with the Business Authority, a new company is also registered with the Danish Customs and Tax Administration. Our agents detail each of these steps further down in this article. Investors who have additional or specific questions can send us an inquiry. Only a single member is required to form a Danish Private Limited Company (Anpartsselskab - ApS) without restrictions on his residence. The minimum share capital necessary in order to incorporate a Limited Liability Company in Denmark is 80.000 DKK which is divided into shares not negotiable, and not transferable. The members of the Danish ApS are held liable to the company's debts to the extent of their contribution. For large amounts of capital and a limited liability of the members, it is advisable to open a Danish Public Limited Company or stock corporation (Aktieselskab - A/S). A Joint Stock company incorporated in Denmark requires at least one founder and a minimum share capital of 500.000 DKK. The capital is divided into shares which can be offered to the general public. Just like in the case of the private limited liability companies, the liability of its members is limited to the extent of their contribution to the capital. For small investments and usually for the business with a personality not distinct from their owners, the Danish and foreign entrepreneurs are advised to opt for opening the main form of business an individual can establish in Denmark which is the sole proprietorship. In this case, the single member of the business entity is not a separated entity from its business and it is fully liable to the company's debts. Another type of Danish business where the personality of the members is not distinct from its owners is the Danish General Partnership (Interessentskab - I/S). Unlike the companies, the members of the partnership are fully liable to the company's obligations to the extent of their own personal assets. The structure, the roles and the rights of the partners are regulated by the partnership agreement. Another type of partnership is the Danish Limited Partnership (Kommanditselskab - K/S) which is formed by a general partner and a limited liability partner, called silent partner. Only the general partner can decide the entity’s business strategies and all the major decisions. The silent partners are liable for the company’s debts in the limit of their contribution to the capital. Also, investors might take into consideration the idea of entering the Danish market through a branch or a subsidiary. Our specialists in Danish companies formation are here to advise upon the benefits and requirements of each of them. Before drafting the incorporation documents, the Danish or foreign entrepreneurs willing to open a business in Denmark must verify the uniqueness of their name at the Danish Registrar. The articles of association of an entity established in Denmark are the main documents standing at the base of each business. It states the internal regulations of the Danish company and all the details related to it such as the company's name, the location of the registered office, the purposes its establishment, details related to the share capital, the names and addresses of the managing members. These articles of association must be notarized before being used for registration. A particularity of the company registration in Denmark is that each business must receive a digital signature known as NEM id. After taking this step it is necessary that the minimum share capital is deposit in a bank account which will issue a certificate of deposit. The registration at the Danish Business Authority is made through an online system. 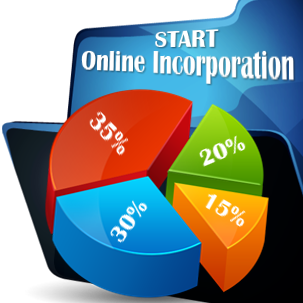 The entrepreneurs must complete an online application and send electronically the articles of association and the bank certificate. Due to the centralized system, the companies are registered in maximum one day at the Danish Business Authority and three days at the tax authorities. Companies that will hire personnel must handle an additional step. These entities must register their employees with a private insurance company, a process that lasts approximately one day. Danish companies in selected business fields will need to apply for additional special permits and licenses once there are registered and have their business permits. These are sector-specific licenses and are obtained from relevant authorities. If you want to open companies in other countries such as Seychelles or Canada we can put you in touch with our affiliates. Companies in Denmark need to observe the main sources of tax law: the Corporation Tax Act and the Personal Tax Act, along with their amendments, as well as other sources of tax law and agreements such as the double tax treaties. The main taxes for companies in the country are the following: the corporate income tax (22% for companies in all other industries except for the oil and gas industry; for these companies the tax is 25%), the withholding tax on dividends (can be subject to a reduced rate under an applicable double tax treaty), social security tax (approximately 10,000-12,000 DKK per employee per year), stamp duty as well as other taxes. Companies in the shipping industry can choose to pay a tonnage tax instead of the applicable corporate income tax. The tax year is usually the same as the calendar year, however, companies may choose a different 12-month period. Affiliated companies in Denmark are subject to tax consolidation and so are branches. Taxpayers file the tax returns electronically and this must be accomplished within six months from the end of the accounting year. Late filing is subject to penalties. The value-added tax is imposed on the sale of goods and services and it applies to most companies. the standard rate is 25% and some types of services are exempt, although providers in these categories cannot deduct VAT on the purchases they make. Examples of exempted services include education, insurance, financial activities, the transport of individuals. Companies are required to register for VAT purposes with the Danish Customs and Tax Administration (SKAT). A legal entity is required to register if the profits exceed 50,000 DKK. Non-resident companies are required to register at all times. VAT returns and VAT payments are made once a month for those companies with an annual turnover of over 50 million DKK and only on a quarterly basis of this turnover is between 5 million and 50 million DKK. Companies with a turnover below 5 million DKK must only file and pay the VAT twice a year. One of our agents can give you more information about these different VAT filing and payment requirements, including those for newly registered businesses. As far as accounting in Denmark is concerned, the applicable principles are the International Financial Reporting Standards, the Danish GAAP and the International Accounting Standards. Many foreign investors want to come and start a company in Denmark due to the country’s high standard of living. This statute also keeps the economy in a rather flourishing position. Foreign investments in Denmark are encouraged by the government by offering incentives, such as loans, grants or reduce taxes for foreign investors. If you wish to know how much you have to pay in terms of corporate taxes, dividend tax and VAT in Denmark we invite you to use our instant tax calculator. Investors looking towards company registration in Denmark will also benefit from the fact that the country is ranked among the top countries in Europe for ease of doing business. These favorable positions occupied by Denmark in international economic and business overviews are based on some facilities in the process of setting up a company in Denmark. The well-trained workforce, the high quality of life or the lack of bureaucracy in Denmark are only a few reasons for company formation in Denmark. For further consultancy please feel free to contact our company formation specialists in Denmark. For issues related to legal matters please please contact our partner lawyers in Denmark.